Djibouti (HAN) May 1st, 2014. Interview conducted by Abdi Moalim in Mogadishu. 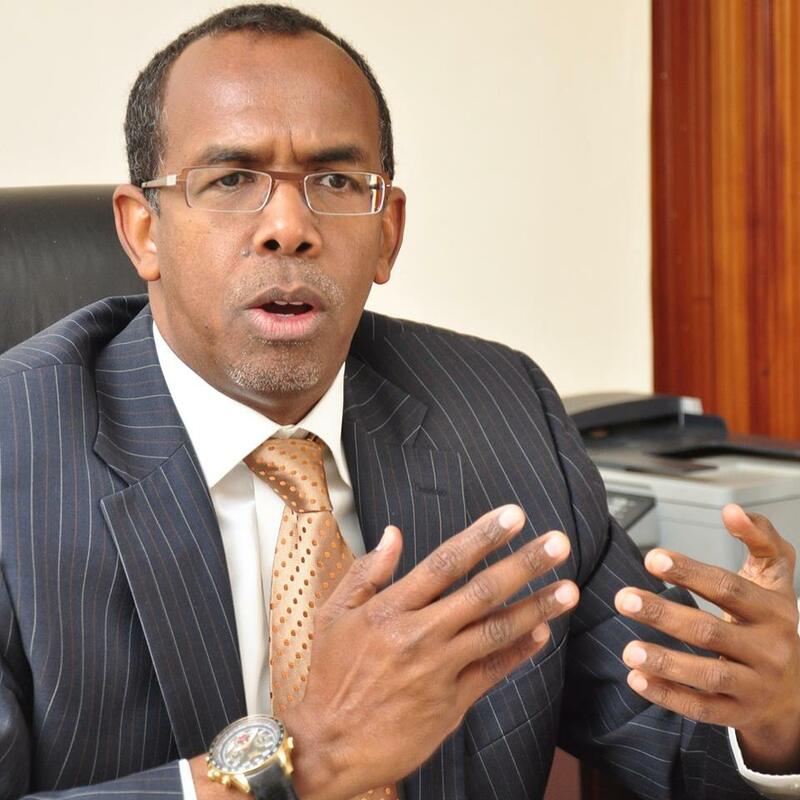 Somalia’s Ambassador to Kenya Mohamed Ali Nur says he is “very upset” at how Kenyan police treated a Somali diplomat recently arrested in Nairobi and demands the Kenyan government apologize for the incident. 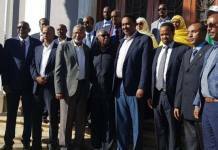 Ambassador Nur’s temporary return to Somalia elicited much speculation and news reports that diplomatic ties between the two countries were crumbling. One: The consul’s arrest, Kenyan police treated a Somali diplomat as refugee status and arrested in Nairobi police station. After Kenyan police briefly arrested Somali Consul Siyad Mohamud Shire on Friday (April 25th), the Somali government summoned Nur to Mogadishu to be debriefed on the diplomatic incident and the general impact Kenya’s security crackdown is having on ethnic Somalis living in Kenya. In an exclusive interview with Sabahi in Mogadishu, Nur clarified details about the consul’s arrest and the current state of the diplomatic relationship between Somalia and Kenya. Sabahi: Can you tell us what happened the day the consul was arrested? Ambassador Mohamed Ali Nur: The consul was [driving] on his way home on Friday when he passed through a location where Kenyan forces were conducting a security operation. The police stopped him and asked him for his documents. He showed them his diplomatic card and informed them that he was the consul at the Somali embassy. [When the police] told him that he would be taken to the police station he requested to see the commanding officer of the operation. However, when the commanding officer came, he took away the consul’s diplomatic card and ordered him to get into a vehicle in which people accused of being in the country illegally had been rounded up. While waiting inside the police vehicle, the consul contacted me [from his mobile phone] and I went to [the Hurlingham check point] where he was being held. When I informed [the police] that this man was the consul of the embassy, the operation’s commanding officer told me that he would be taken to the [Kilimani] police station. After [he was taken to the police station], I contacted the Police Commissioner of Kenya and the Ministry of Foreign Affairs and that resulted in the consul’s release. Sabahi: What is your opinion on how the Kenyan police handled the situation? Nur: I am very upset at how Kenya has treated our diplomat. It is an offense and it is wrong. It is also a violation, a violation of diplomatic conventions. Sabahi: So what do you want the Kenyan government to do now? Nur: We want the Kenyan government to officially apologise to us for what happened. They also have to take appropriate steps against the people who were responsible for what happened. We would like to see the mistake that took place rectified so that it never happens again. Sabahi: Have you received a response from Kenya thus far? Nur: We have not received an official apology from the Kenyan government yet. The only thing that has happened is that Kenya’s Foreign Minister Amina Mohamed apologised to me [personally] and said what happened was a mistake. However, we want a written apology. Sabahi: This is not the first time a Somali diplomat has been detained in Kenya. What can you tell us about the arrest of embassy Secretary Ilyas Yusuf Warsame in January? Nur: He is still in detention and an investigation is under way. I cannot tell you more about his situation. Sabahi: Are these arrests an indication of a deteriorating relationship between Somalia and Kenya? Nur: I have been the Ambassador to Kenya for six and a half years and had not experienced transgressions such as these against us before. Now that this transgression has occurred, they have to give us an apology and explain why it happened. Sabahi: What was the meaning of your summoning? Is the embassy going to be closed? Nur: My summoning is not at the level of recalling an ambassador. The embassy is functioning and is open. I am the only one who was summoned to give the government a report on how the consul was treated and the situation of the other Somalis who are suffering in Kenya. Sabahi: If Kenya does not comply with your request, what will be the Somali government’s response? Nur: I do not want to predict something that is yet to come, but I am expecting the Kenyan government to apologise for its wrongdoings. If it does not do that, we will respond then. Sabahi: What can you tells us about how the security operations are affecting other Somalis in Kenya? Nur: Kenya is still continuing its operations to detain Somali people. We have asked the Kenyan government not to target Somali people and they promised us that they would not. We have also asked them to sort [detained Somalis], to release those people with legal documents and to transfer those with no legal documents to us so that we can take them back home. Kenya is a sovereign nation and it has the right to ask foreigners for the legal documents they are using to stay in that country, but it has no right to violate the dignity of the people and to detain them for prolonged periods of time. They should sort people within 24 hours, [and determine] whether they have legal documents or not. That was our request, and it is still our request. Sabahi: There is a tripartite agreement between Kenya, Somalia and the United Nations High Commissioner for Refugees (UNHCR) which states that refugees should not be repatriated involuntarily to Somalia until they request to return. Have there been any Somalis with refugee status repatriated as a result of this operation? Nur: There are no individuals with refugee status that were deported against their will. We will not allow that. Sabahi: Is the Kenyan government still registering new refugees and issuing refugee cards or has it stopped? Nur: It is Kenya’s decision whether to stop or to issue cards. It stopped issuing them three months ago, but we and the human rights organisations have requested that they resume issuing refugee cards. Sabahi: You have come under criticism over your response to the security crackdown and for not doing enough for Somalis who have been detained. What is your response?